CACHA sends Canadian volunteer teams on two to three-week missions to African communities to work hand-in-hand with local partners. Medical missions provide rural and isolated villages with life-saving care, while supporting and training local medical professionals. Medical missions are usually 2-3 weeks long. Volunteers set up temporary clinics in a community with the aim of assessing and treating as many patients as they can within the short period of time. 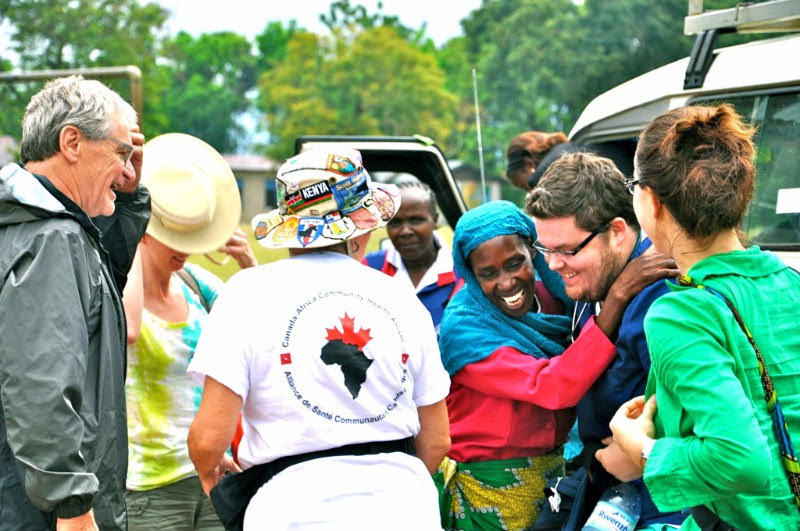 Our Canadian medical teams work closely with local doctors and nurses. We provide training and support, while learning from their expertise. Medical missions require both clinical volunteers (doctors, nurses, surgeons, pharmacists, etc.) and non-medical volunteers to be successful. The clinical volunteers provide primary care (many members of the community have never seen a physician); prescribe and dispense medication; conduct surgeries; and provide consultations and training in areas such as maternal and pre/post-natal care. The non-medical volunteers help with logistics, set-up, sorting and distributing medications, and provide support as required. Volunteers help build necessary infrastructure to improve community health, including the determinants of health. This can include a new medical clinic, a water tank, a school, etc, as determined by the community. One new piece of infrastructure usually takes multiple missions to complete. Infrastructure missions are also usually 2-3 weeks long but lengths can vary. Volunteers help build the necessary infrastructure to improve community health, including the determinants of health. This can include a new medical clinic, a water tank, a school, etc, as determined by the community. One new piece of infrastructure usually takes multiple missions to complete. The success of these missions is thanks to the nearly 2,900 volunteers who have contributed to over 100 missions over the past 16 years, and our enduring partnerships with local organizations and communities. Together, we have treated over 200,000 patients; trained and equipped hospitals; built community centres and schools, to perform work and services that improve the life in these communities. CACHA missions are self-funded by our amazing volunteers. The field cost of a mission is $2,820 + the cost of the flight. Field costs pay for expenses including: accommodation, food, in-country transportation, allowances for locally engaged partners, medical and logistics equipment and supplies, communications, customs, work permits (in Tanzania only), medical treatments and referrals for patients, as well as CACHA overhead and management, CACHA membership fee, and support for CACHA projects. All donations submitted for the mission are tax deductible. If the flight is booked through CACHA, then the cost of the flight (+ 15% admin fee) is also tax deductible. The total (including flights) cost of a mission to Tanzania is approximately $5,220. More information about applying for a mission can be found within each of the mission pages and on the Application page.